Knowledge and understanding of computers, and how they work, are an increasingly larger part of a student's world today. Our students will need to have a robust understanding of computer science for the future workforce they will enter and so beginning this exploration at a young age is essential to developing comprehension and understanding. By exposing students to meaningful computer science related experiences in our classrooms, we will ensure that our students develop the skills necessary to be competitive in the ever-changing digital world. 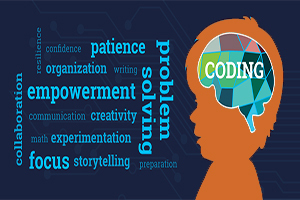 This month, Chappaqua's elementary students are taking a deep dive into the foundational principles and competencies of the computer sciences. Students are using block coding, looping, if/then conditionals, and algorithms to program robots. Our students are also exploring apps and online resources to continue learning how to apply computer science concepts and life skills such as sequencing, problem-solving, collaboration, and perseverance. In June 2016, residents approved a capital improvements bond that has allowed the District to improve infrastructure; upgrade fields; build flexible, research-supported, intentionally-designed learning environments; and improve the Chappaqua Public Library. The latest bond project to be completed are the renovations to "K-110" at Greeley. Ideal for humanities courses, the brightly-lit lecture space is suitable for multiple styles of learning. It now features state-of-the-art projection equipment with collaborative seating up front along with 89 traditional stadium-style seats. There is also a small-group space in the back where students can use whiteboards to flesh out ideas. Another important feature in this learning space is that students can also wirelessly cast their learning to a TV monitor. 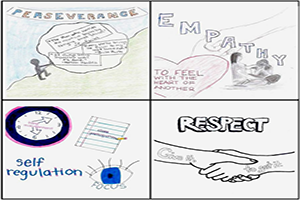 Centering around four dispositions -- respect, empathy, perseverance, and self-regulation -- the "Bell 4Core" was first introduced to students in the fall of 2012. It is a vehicle to empower students to create a clear and common understanding of the kind of school climate Bell is seeking to promote anchored by the following beliefs: positivity, inclusivity, and a balance of academic expectations with social-emotional goals. 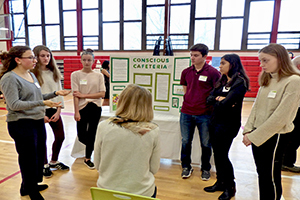 Each year, assemblies and advisory meetings are held where students define and discuss how each disposition has a profound impact on teaching and learning and what it means to them on a personal level. During the most recent grade-level assemblies in early January, in addition to discussing the Bell 4Core, Dr. Fitzgerald discussed the impact of cell phone usage (in and out of school) and introduced a student survey on homework. Dr. Fitzgerald explained that the feedback from the survey will be used to inform practice and refine guidelines. He also launched the "Promote the Bell 4Core" campaign with the goal of having students create a video, poster, poem, podcast, artwork, etc. to help build upon a culture that will best serve the needs of all Bell students. The Science Research Program offered at Horace Greeley High School requires a three-year commitment from students. The program affords students the opportunity to pursue areas of interest in science by providing meaningful, hands-on learning experiences that enable students to access and critically analyze information, pose substantive questions, and communicate effectively. Year 3 affords students the opportunity to complete their research with students typically spending 6-10 hours per week working on their inquiry. Presented by the Chappaqua School Foundation, The Harlem Wizards will play against your favorite CCSD faculty and staff. Bring the entire family for an amazing afternoon of "trick hoops & alley oops!" Tickets are on sale at Drug Mart of Millwood, ﻿Scattered Books in Chappaqua, or you can purchase tickets online. 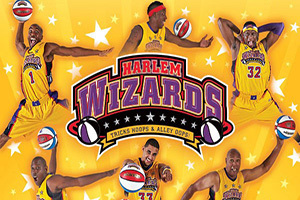 Guaranteed Premium Seats in 1st/2nd rows; Meet & Greet with Harlem Wizards 45 minutes before the game; souvenir lanyard, color team poster and $15 discount on team replica jersey. Greeley Theater Company presents. 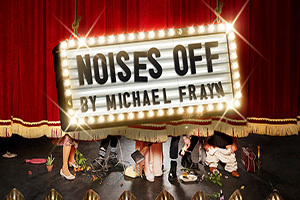 . ."Noises Off"
Often called "the funniest farce ever written," Noises Off features a manic menagerie of itinerant actors rehearsing a flop called "Nothing's On". Doors slamming, on and offstage intrigue, and an errant herring all figure in the plot of this hilarious and classically comic play.